KiDs Beach Club® is going to have a presence at both the Southern Baptist Convention Annual Meeting and the SBC Pastors’ Conference in St. Louis in June. KBC is one of the sponsors for the Pastors’ Conference and will have a booth at the Annual Meeting to share its mission and vision with a national audience for the first time. Churches who partner with KiDs Beach Club® have an immediate connection point for evangelism teams that accelerates open doors within a community and allows churches to focus on the people. Specifically, it helps churches connect people back to their church and into a relationship with Jesus Christ. One of the people who caught that vision is Byron McWilliams, the lead pastor at First Baptist Church of Odessa. He saw this firsthand when he visited a Beach Club kid and his mother in 2014 with a Can We Talk team at First Euless. KBC opened the door to visit Felicia and Fabian in their Bedford, Texas home. God used CWT to open this young mother’s heart to the Gospel. “In just minutes, Felicia prayed to receive Christ and plans were made to follow up with Fabian, McWilliams said. “After this visit, if I had any doubts about utilizing CWT and KBC as complimentary ministries they were long gone. If you are seeking qualified contacts for your CWT participants to visit, KBC is a proven source that will provide them. It’s our understanding that he’s going to share portions of this story during his address at the SBC Pastors’ Conference, which leads up to the SBC Annual Meeting. 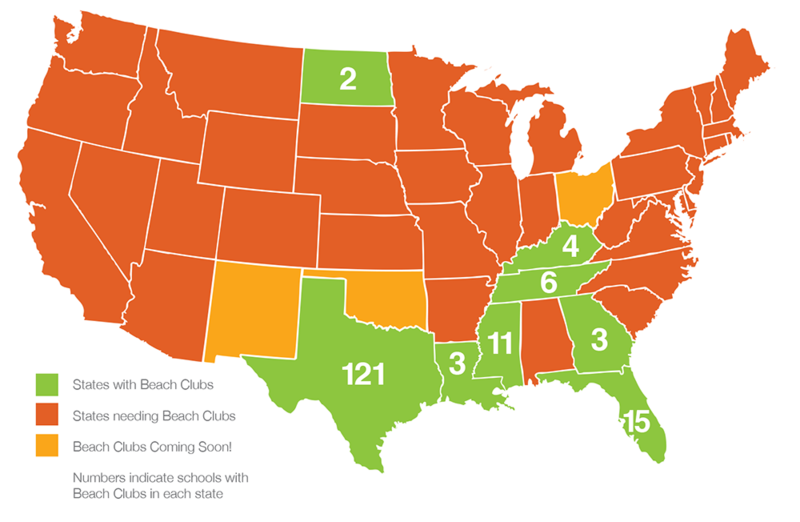 KiDs Beach Club®, which is headquartered in Texas, has 44 clubs in seven states outside of Texas. The ministry has recently been developing a national growth strategy while continuing to expand throughout Texas. A KBC donor who is passionate about the ministry’s national expansion has fully funded the efforts to put KiDs Beach Club® in front of a national audience at the SBC Annual Meeting and to be a sponsor of the SBC Pastors’ Conference.